BP Garage doors is a local leader in garage door installation, repair, and maintenance. Our technicians will provide timely and knowledgeable support for all your garage door needs. With over 20 years experience in the industry, we can assist homeowners with wooden doors, steel doors, and composite doors. We are a full-service repair and installation company and our specialists will provide prompt and knowledgeable service for all your garage door needs! Here at BP Garage doors, it’s our mission to make sure all of our local residents have a well functioning, safe and maintained garage door to provide safety and comfort. Broken springs or chains? Noisy operation? Does your garage door open slowly? The professionals at BP Garage are the experts that will provide quality service for all your repair needs. We provide full-service, specialized repair offerings. We are able to repair bent tracks, broken rollers and springs, cables, panels, hurricane reinforcements, keyless entry, new motors, garage door openers – and so much more! Our technicians will provide knowledgeable assistance that you can trust. 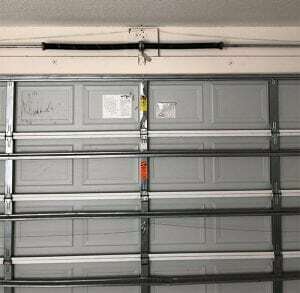 We understand that your garage door is a vital component in the safety of your assets and loved ones. With 24 hour service and on-call technicians for weekend and emergency repairs, the professionals at BP Garage Door are the area leaders in providing quality service for all your repair necessities. 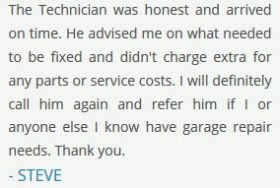 We pride ourselves on having highly trained technicians that are specialized in dealing with a wide range of garage door repairs. At BP Garage Doors, we have all the tools, experience, and materials necessary to fix your garage door right the first time. We understand that garage door maintenance and repair can be daunting – that’s why all of our technicians are trained to be helpful and knowledgeable about our industry. We will are leading specialists in the Gulfport area, and happy customers and timely service is our priority. 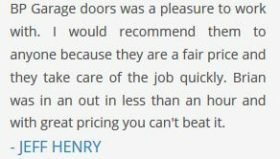 We pride ourselves on making the process of replacing worn garage doors convenient and enjoyable.